Let me help you to succeed digitally, by creating a customized content calendar or integrating social media on your website. Hence you didn’t get into your biz to spend all day planning out your Social Medias, right? Keep everything branded from the beginning, so let me format images (correct sizing) for social media platforms with your brand look-and-feel. On top I’ll add image descriptions and re-word with SEO keywords. Let’s get started now, I’d love to get to know you! Please take a minute to fill out the form so I can determine how to best serve you and your business. Why you will choose to work with me? Work with me! I’m a digital marketer at heart with a secret joy for analytics; specialist in Digital Marketing, Social Media Marketing and Strategy and Search Engine Optimization. I have over 14 years Digital Marketing (SEO, Social Media, Website management) experience, gained on global corporations such as Lufthansa in São Paulo, The Economist Group in Frankfurt and Samsung in Schwalbach am Taunus as well as on small businesses too like Casa do Palmito in São Paulo. During these years I lead major projects like eXperts Latin America, app launch in CEMEA, increasing online visibility and profit through digital marketing campaigns. These makes me ready to contribute to your digital marketing plan and take it to the next level. 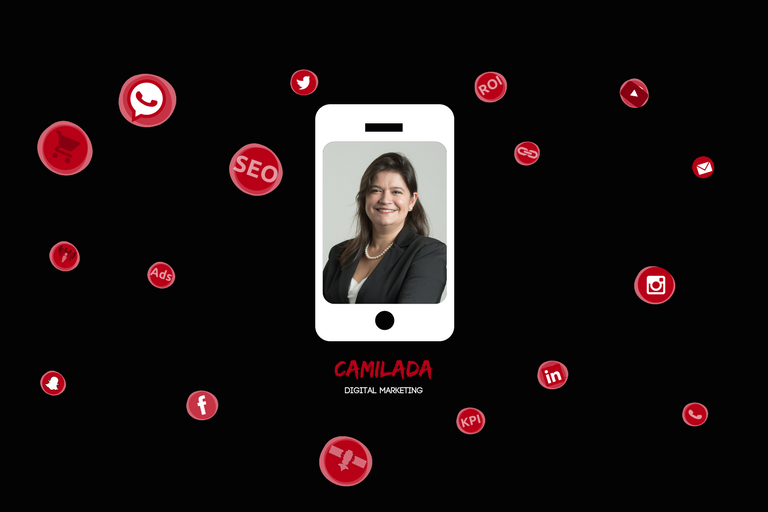 My latest full-time job ignited the digital marketing’s passion and since 2017 I founded camilada Digital Marketing and started as consultant, encouraging start-ups, small companies and solopreneurs to build and optimize their business and increasing their revenue. Therefore, I know running a business takes a lot, I want to make sure you’ve got time to focus on what matters most to you. I’ve spent years behind computer screens, admiring others, pursuing their passions, inspiring others. I love watching my friends shine. And what makes me shine? Providing that sort of support and motivation only good friends can.